Ben Graham of New Frameworks Natural Design/Build pointing out brickwork problems to his assistant, as part of their volunteer work to rebuild the Bakery porch. To find out more than you ever wanted to know about historic masonry, check out the National Park Service’s Preservation Brief 2: Repointing Mortar Joints in Historic Masonry Buildings. Both the Old Labor Hall and the Union Cooperative Store bakery building have brick exteriors. In the case of the Hall, the brick on the outside of the building is just a cladding on a wood frame structure. The Bakery brick walls are actually structural, supporting the roof. Despite their different uses, the brick exteriors present similar challenges. 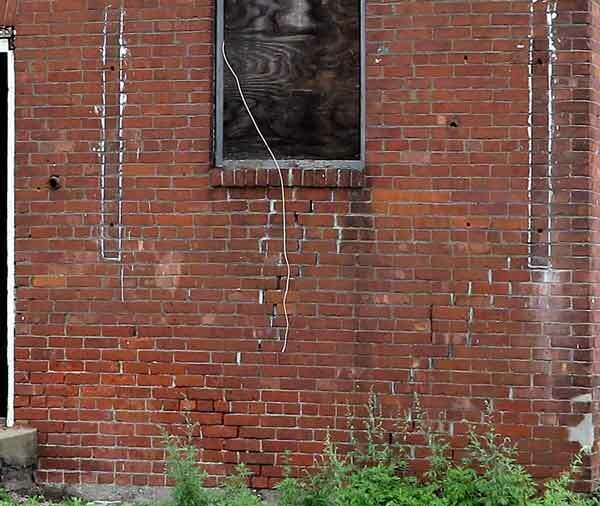 Over the years, maintenance of the brick on these buildings by their previous owners did not take into account the age of the brick and mortar. It turns out that in order for this maintenance to be efficacious, the right mortar was needed. Instead, the repairs were done with whatever type of mortar was the order of the day when the repairs were done. Chemical reactions between the new and old mortar meant that the repairs did not last. The cost of preservation has been increased because the later applications will have to be removed in order for the preservation of the brickwork to be successful. The mortar in our buildings is being analysed for us by staff and students of the University of Vermont Historic Preservation Program. Since the walls of both buildings are subject to historic preservation easements, repairs will also require the use of historic bricks. 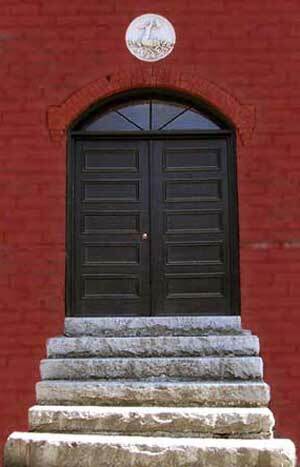 In the years since the Hall was acquired by the Barre Historical Society, we have zealously conserved all bricks in good condition. Unfortunately, most of them seem to be interior bricks, unsuited for outside use. 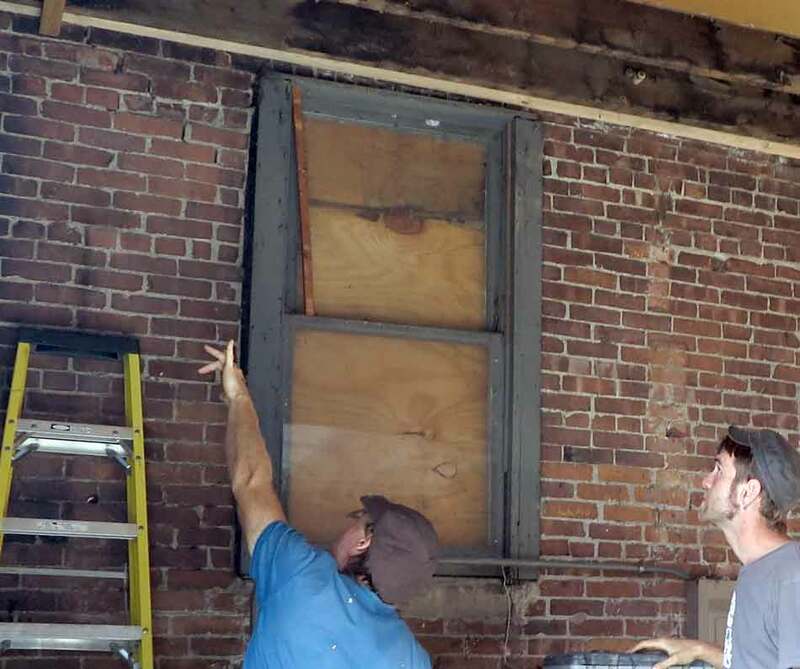 The brick and mortar problem has not been a priority for the Hall because the brickwork was not structural, but the restoration of the bakery building as a functioning bakery will require dealing with the deteriorating brick walls. The need to act soon on the Hall brickwork is precipitated by the receipt of the FEMA flood mitigation grant. (The Hall has suffered major flooding three times in less than 15 years since it reopened to the public in September 2000.) 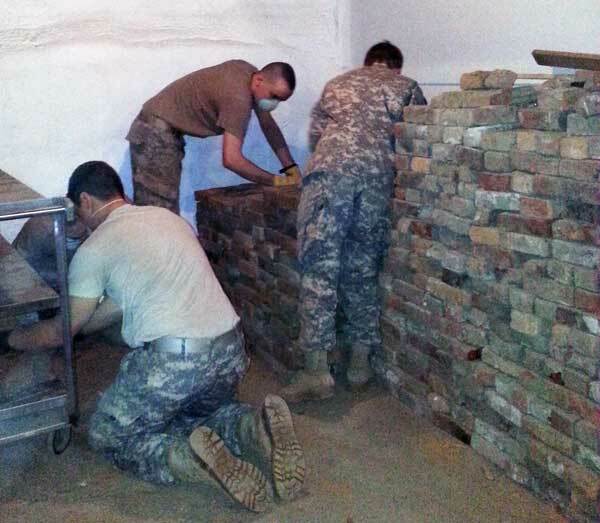 The FEMA grant includes funds for the restoration of the Old Labor Hall brickwork up to the level of three feet above grade. Our masonry experts tell us that it would be a waste of resources to fix this brickwork without also repairing the deteriorated brick above. So in addition to raising the matching funds for the FEMA grant, we need to find the funds for the rest of the Hall project. At the same time, because the historic masons will be on site, we need to raise the funds for the Bakery repairs as well. 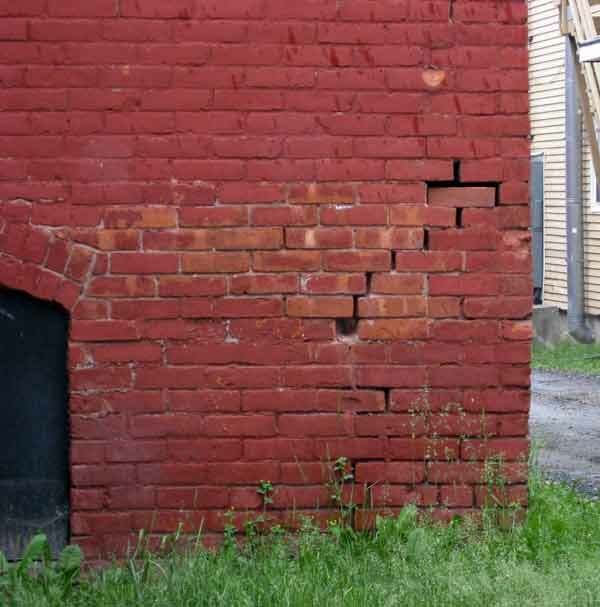 The masonry repairs were the subject of the Spring 2016 Fund Appeal letter [view as PDF] and our Vermont Gives campaign. The time is now. We don’t want to lose another construction season. Any help you can give will be much appreciated. Brickwork on the southeast corner of the Hall is bowing and separating from the building. Deteriorated brickwork on the northwest corner of the Bakery, showing previous attempts at repair. Barre Historical Society at “Vermont Gives” 2016!